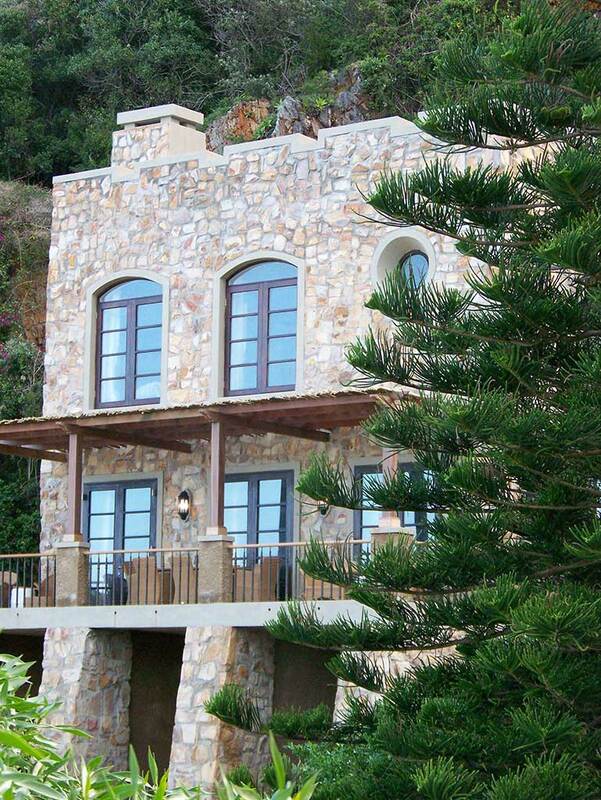 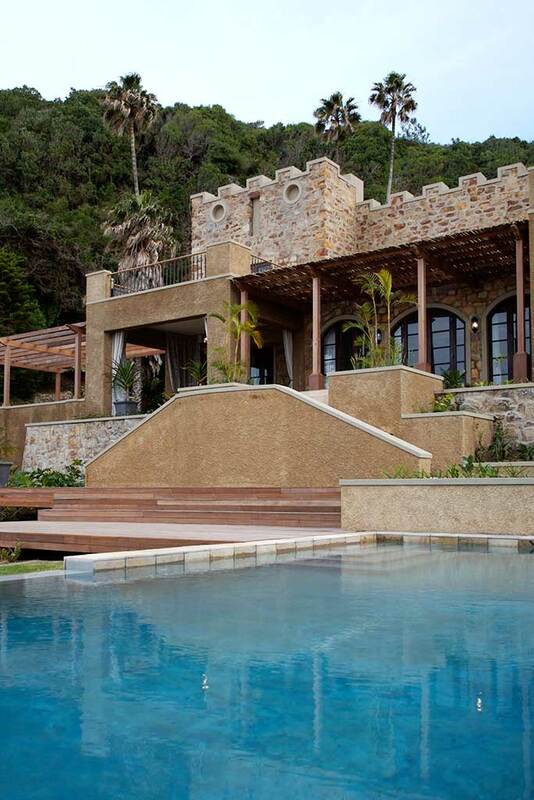 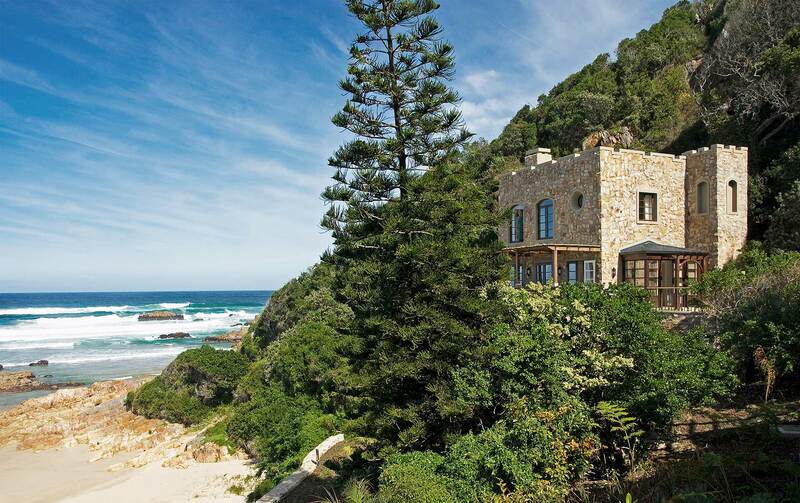 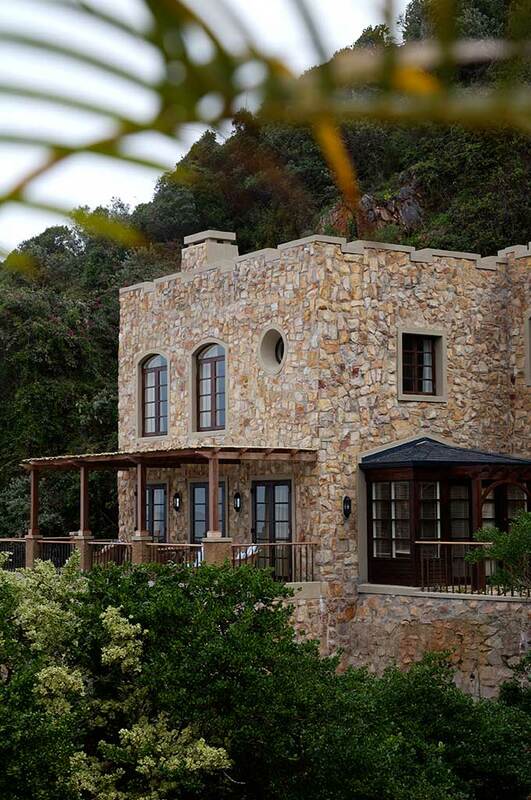 This historic structure built into a cliff-face and with its own private beach was resurrected from its derelict state. 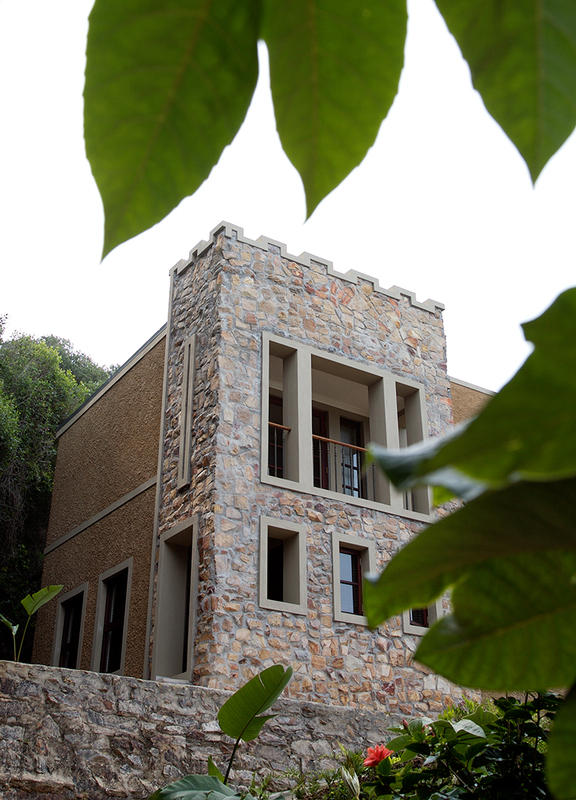 Careful site design and landscaping integrated it with the site with great attention the architecture was converted to its current layout. 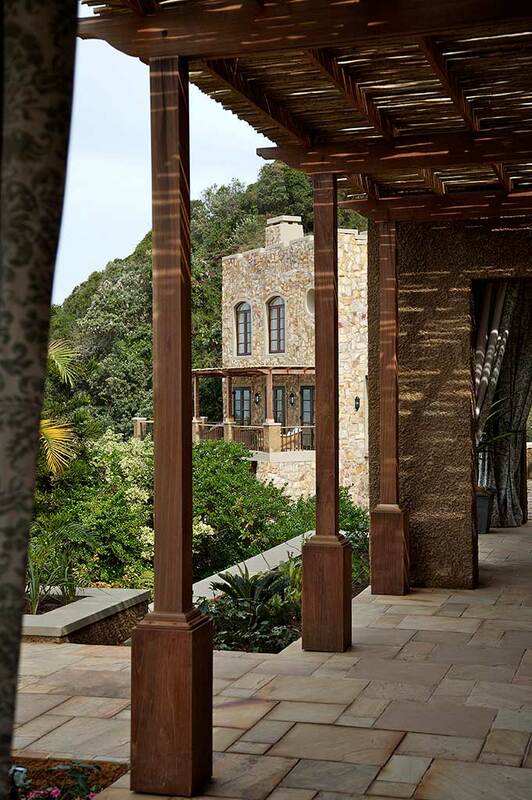 Along with its new configuration, meticulous detailing was given to the interiors and furnishings to transform the stone building into a magnificent residence.